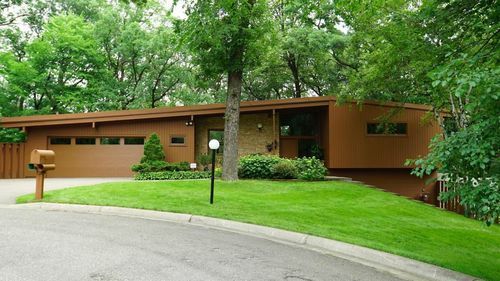 Dreamy Mid-century home in Wayzata/Minnetonka area. Situated at the top of a hill on a woodsy cul-de-sac, this home has "jaw dropping" curb appeal. Original African mahogany walls, built ins and floor to ceiling windows fill the entire back of the house. Feels like Palm Springs, perfect for entertaining! Vaulted ceiling, wood beams. Backyard pool oasis. 15 minutes to downtown. Wayzata schools.